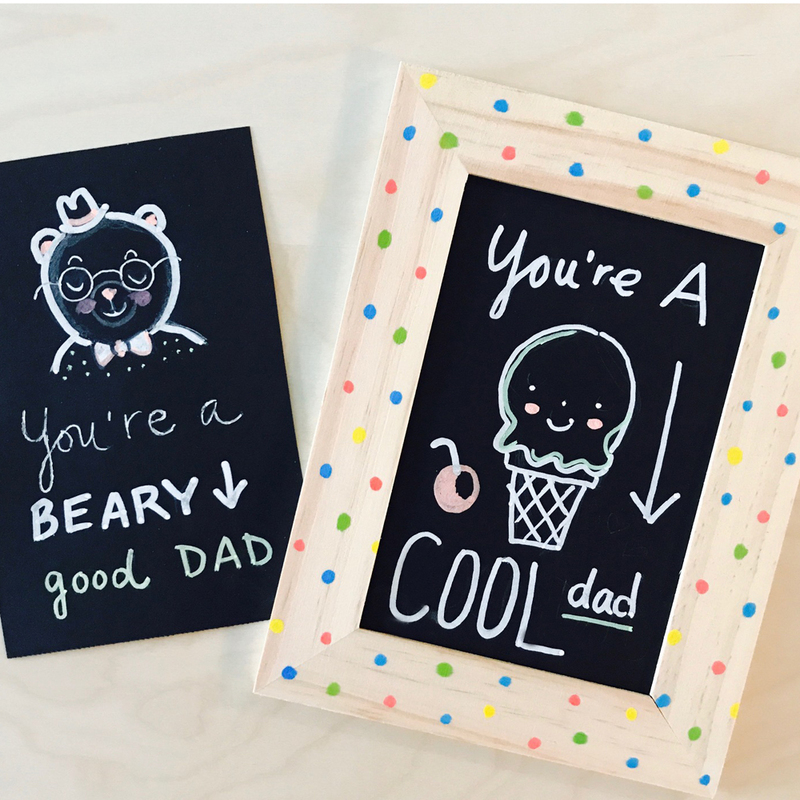 Father’s Day is right around the corner (June 18) and this chalkboard art project is the perfect gift to make for dad! 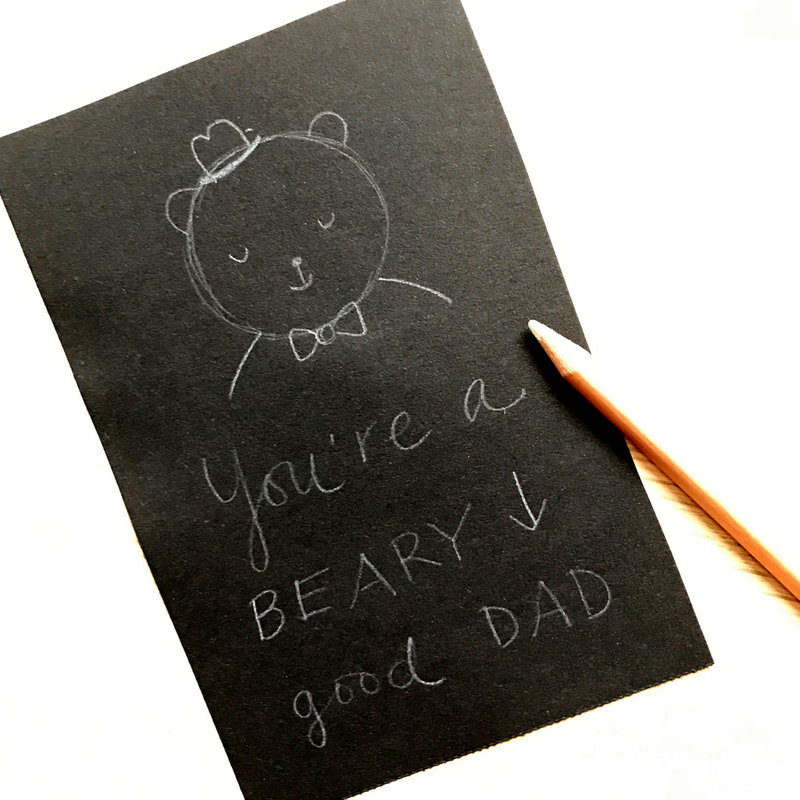 Well suited for any age to create – this cute, framed artwork can be displayed at breakfast on Father’s Day, and then kept on dad’s desk year round. Step 1 Cut out a piece of black paper that will fit within the frame you are using. An easy way to do this is to trace the around the cardboard frame back, or the frame’s protective glass to achieve the exact size you will need. Step 2 Lightly trace a cute design on the paper using white or peach colored pencils. 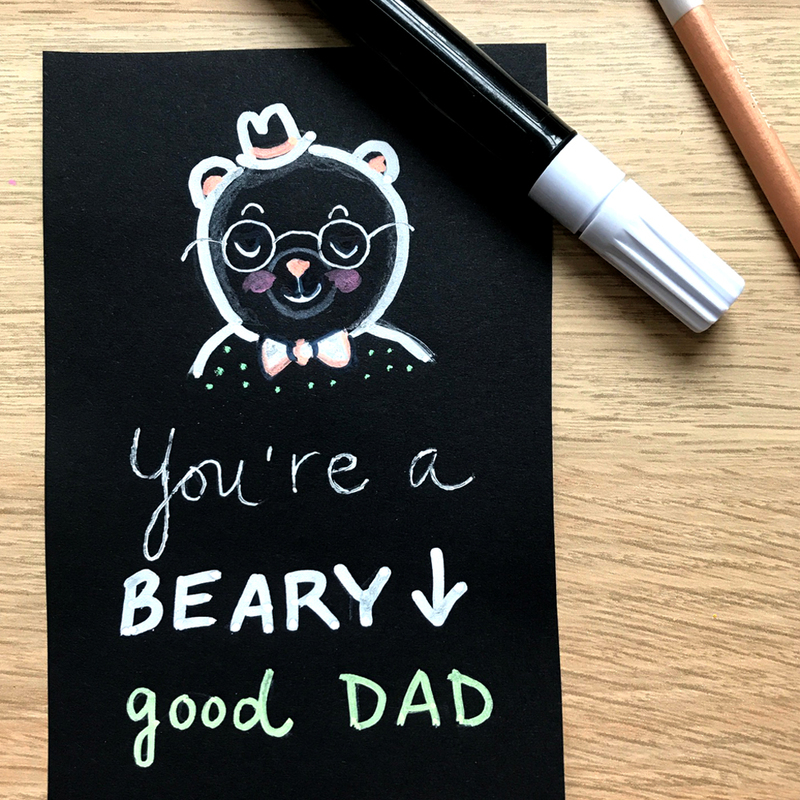 Quotes look especially good done in chalkboard style writing, so you could have your kids write something such as, You’re a COOL dad or You’re a BEARY good dad – something fun and sweet. Pinterest always has some good ideas if you need inspiration! 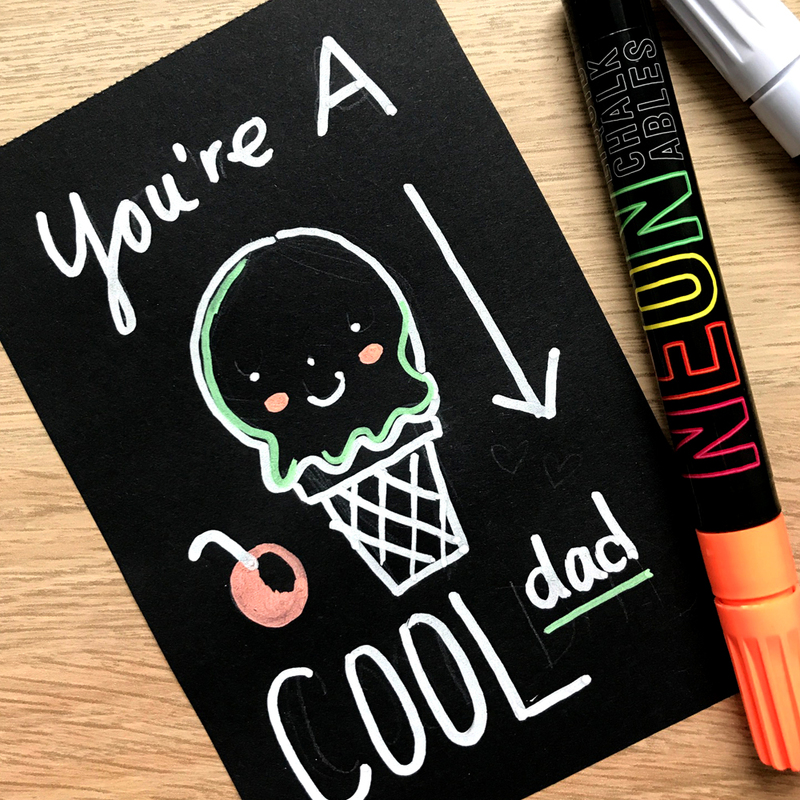 Step 3 Using white gel pens or chalkboard markers (mine are from OOLY), trace over the pencil designs to create the finished artwork. Step 4 An easy way to decorate the frame is by dotting a confetti pattern using colorful markers. Sharpie paint pens would work perfectly for this, or multi-surface markers such as the ones I’ve used. 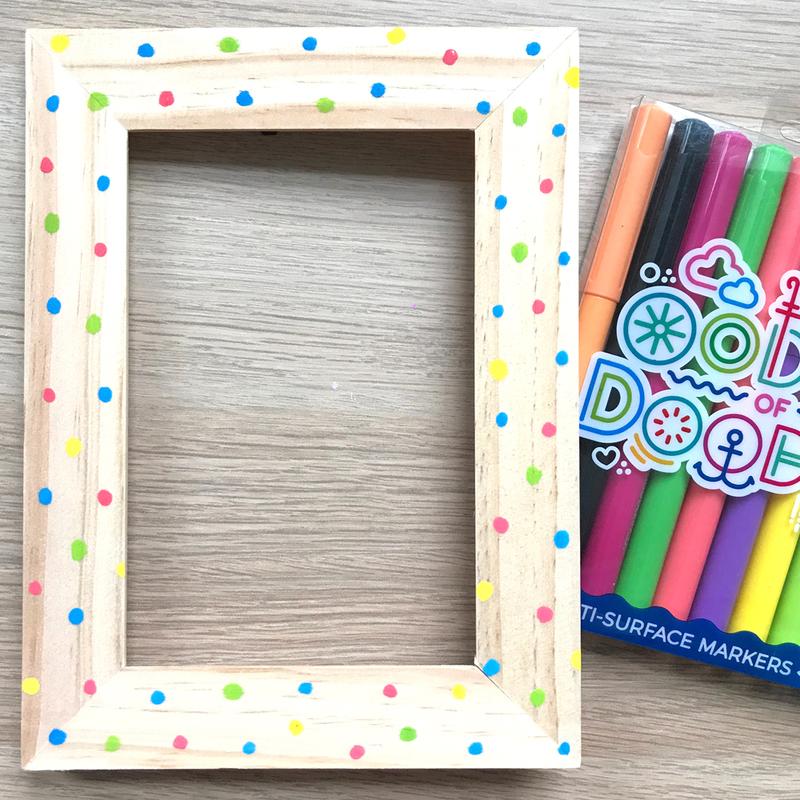 You could also easily use regular washable markers, but the colors will bleed a little bit on the frame’s wooden surface unless you paint it first. 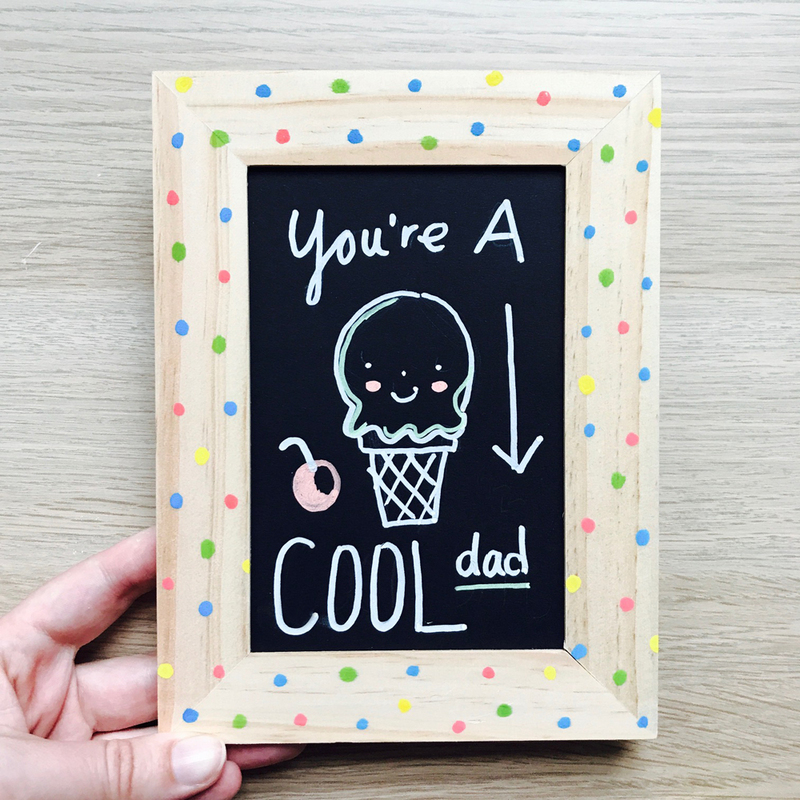 Step 5 Add the artwork inside the frame, and have fun displaying your chalkboard masterpiece for dad on Father’s Day!